my name is Isabel, travelling from Austria, I’m very happy to spend my vacation in beautiful Scotland. I have been to Scotland for the fifth time now, and I am enjoying it very much! 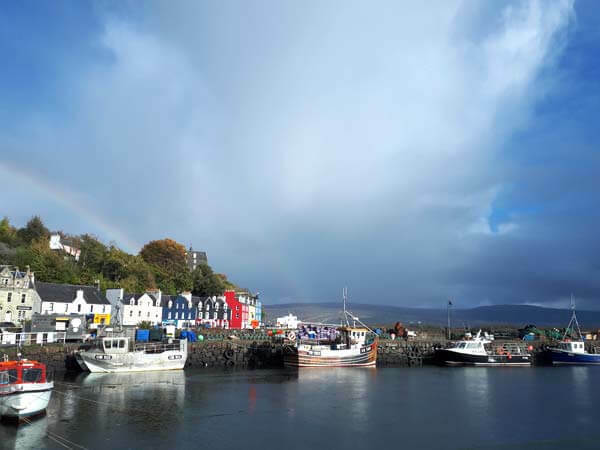 I went to the Isle of Mull in May and thought I would love to visit Tobermory again. 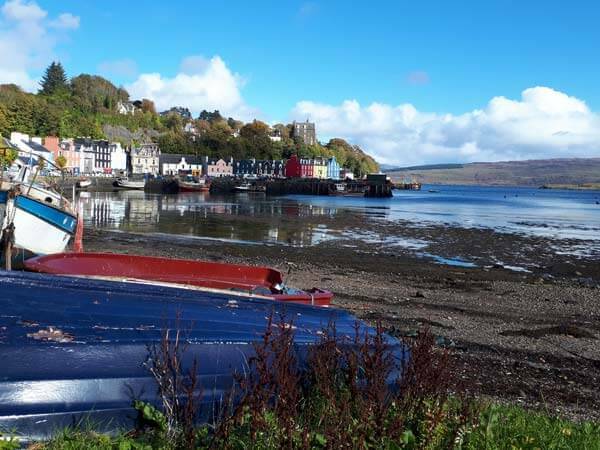 So the other day I decided to take the Ferry and spend a day out over in Tobermory and I was lucky to have some very nice weather, though every weather in on West of Scotland is good, I feel. At first I took a stroll in town, up to a lovely little cafe and art gallery called An Tobar, where I enjoyed a tasty slice of lemon drizzle cake and a hazelnut latte. There was a very interesting art installation called “Magnetic Atlas” by Tracey Holland. Then went a little bit window shopping, strolling along the seashore and being amazed by the stunning scenery in the fishing habour. I then took a whiskey-tour at the local distillery of Tobermory and had a very nice tour guide called Graham. In my opinion Tobermory and Ledaig are the best whiskeys, the tour was also very informative. Afterwards I decided to go for a wee bit of ice cream from local producer Isle of Mull Ice cream, which was absolutely fantastic! 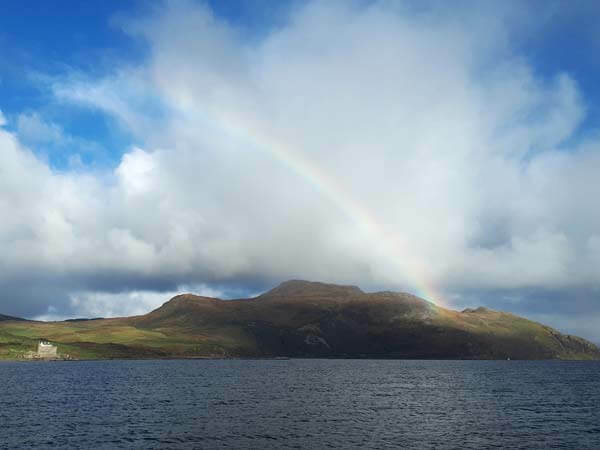 While taking the ferry back to Kilchoan, there was this insanely beautiful rainbow over Ben Hiant and the Mingary castle, which was the icing on the cake! Had an absolutely lovely day out over in Tobermory and would recommend everyone, to spend a couple of hours or a day there, if you have the chance. There are so many nice shops which sell locally handmade crafts, nice cafes and places to eat, as well as you could enjoy a little bit of culture and getting to know Isle of Mull better in the Isle of Mull museum or feeling arty and get introduced to the work from local artists in the An Tobar arts cafe and gallery. The bay with the fishing habour is so picturesque and it has this lovely atmosphere about it.